I found my inspiration from going shopping. There’s a lot of Easter decorations and items. 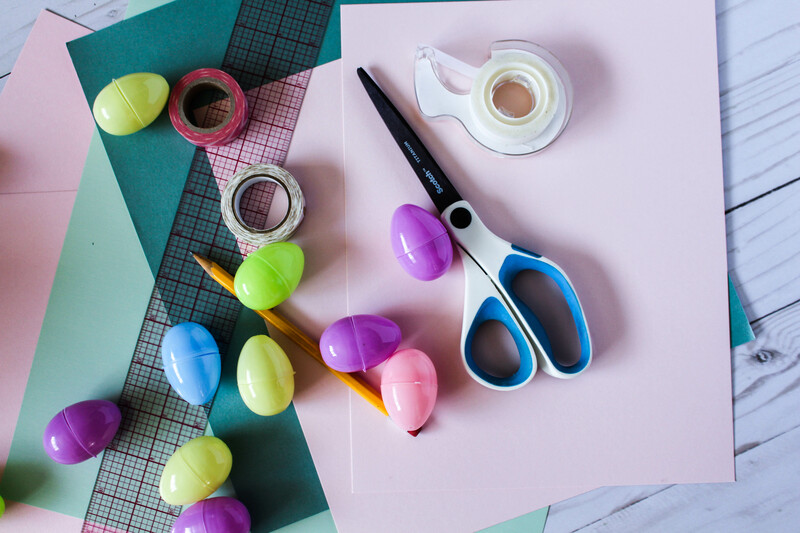 As a kid, I used to love the days near Easter (not for religious reasons) because the items were always super cute and at school, we always had little fun projects to do. But, hey, it doesn’t have to be dull as a grown up so I had a little DIY project for myself. We could do cute things too! 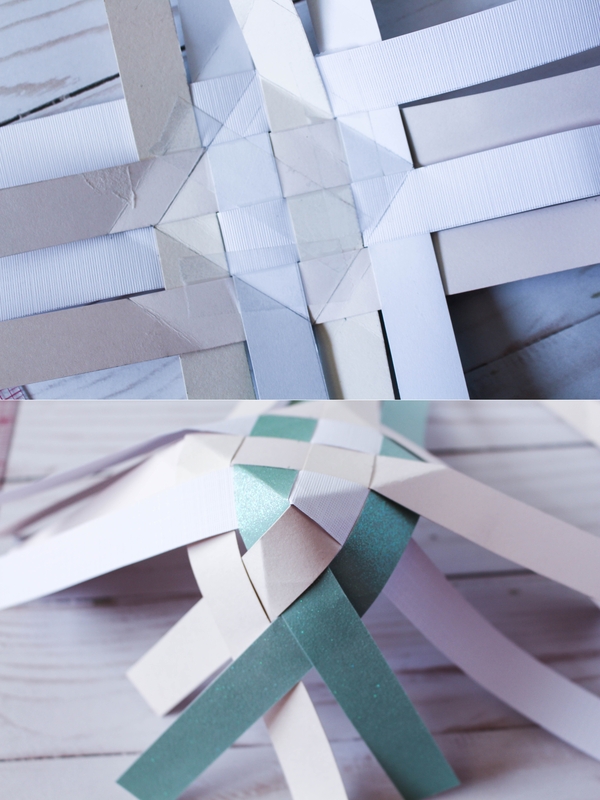 I first cut the papers into 3/4 inch strips. Then, I align them with 1 horizontal on top of a vertical strip. Next to that vertical strip, I place one on top of the horizontal one and repeat with one under. With that same over under pattern, I repeat it for the horizontal. At first I worked with 3 strips and realized it worked better with even numbers. So, I ended up with 4 strips in the horizontal and 4 in the vertical. If you want a bigger basket, then you could add more strips. 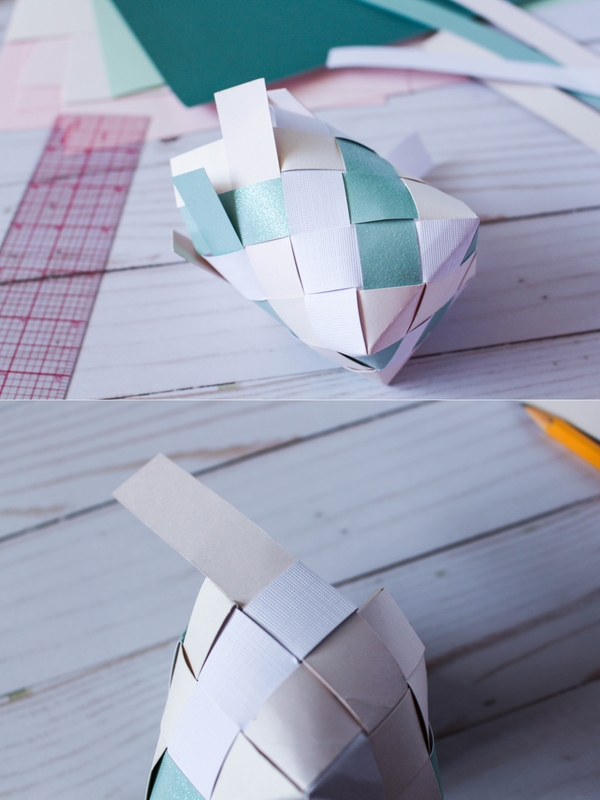 On the back, which is what would be the inside of the basket, I drew a square and folded along that line. I did that same over under pattern starting with the corner of the square. I used tape to help secure it in place. Repeating that pattern on each corner and weaving them together, I would get a more 3d shape. I didn’t want the basket too tall, so I chose the second row, folded the strip down on both sides, and taped it on the inside. Repeating it on the same row throughout would give me a basket shape. I just simply taped on another strip of paper on the top to make a handle. 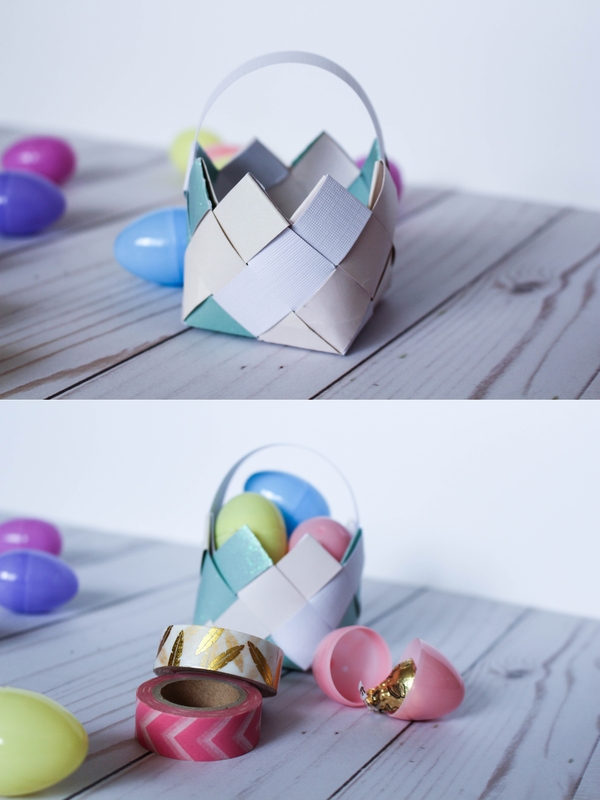 I have a lot of colored paper for my basket so I didn’t need to overly decorate it but if you only have white paper, you could use Washi tape to decorate. Making this was super relaxing for me and brought back a lot of cute childhood memories. What did you do for Easter a child? 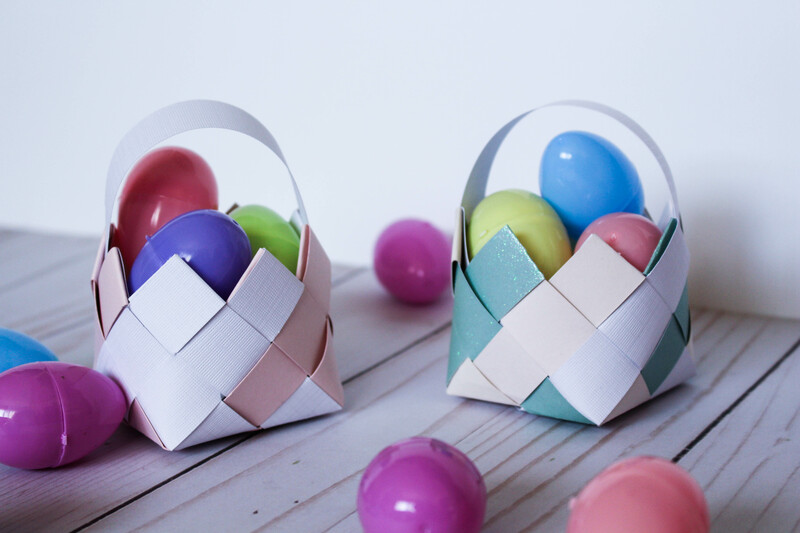 Ooh the baskets are super cute! ❤ 😀 I kind of remember making these as kids! But you're right, it definitely is super relaxing!